New Moon in Aquarius or Pisces? Today, February 18, 2015, at 4:47pm MST the Sun and Moon came together to be in the same position in the sky – at 29 degrees Aquarius 59′ 54″! In other words just 6″ away from 00 degrees of Pisces 00′!! Three minutes later the Sun entered the sign of Pisces, leaving its journey through Aquarius behind for another year. The question is: do we honour the EXACT position of this New Moon or round up to the next degree? Or can we see both? Interesting situation actually. And Comet Lovejoy continues to journey through our inner solar system skies, bringing us much Love and Joy along the way. Comets who venture into the middle of our solar system (not all do) bring to the surface any buried fears of the collective. How much fear have you been dealing with since August 2014? 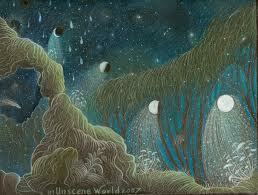 Comets also assist us in addressing any thoughts of slavery, crime and other negative “victim” oriented beliefs. I leave this with you for a moment. Think back to January 20th when the last New Moon began at 00 degrees Aquarius 09′. This is what we do at the monthly New Moon Gatherings: we share our stories of what has transpired in our lives in accordance to the themes brought in via the sign the Moon and Sun stood in at New Moon as well as the House of Life Experience it occurred in within our respective birth charts. The entire Moon cycle just passed has asked us collectively to meet up with our Future Self, consciously. To engage, to embrace, and to embody. Aquarius is electrical energy and many of us have had some issues with our central nervous systems acting up (especially for those of us with Aquarius occurring in the 6th House of physical health). Add in the EMFs from all the cell phones and towers plus radio waves, microwave waves, you name it, and our bodies have been undergoing one humdinger of a time! And then there’s been the outstanding aurora borealis all over the world dancing in many colours and areas not normally seen. Luckily those solar flares have been dying down, now that their peak period has been reached in 2014. How many of you have been physically ill since January 20th? Myself and several others were hit as of the last New Moon with diarrhea, vomiting and/or fevers that kept us in bed for several days. The 00 degrees of Aquarius signalled a brand NEW cycle of connecting with our Future Self, which also meant embodying this Future Self, creating an upload dimensionally and energetically in frequency within our DNA and cells. Hence the runs, vomiting, fevers, feeling way tired and sometimes just nauseous. Naps are good! All, if not most of us, have been moving up Spiritually to a more clear connection with our true individual self (individuation) which is so Aquarius. So now, today, with the Moon and Sun partnering yet again for this current Moon cycle, at the very very end of Aquarius: 29 degrees 59′ 54″ – what does this portend? We may evaluate and re-evaluate situations before making a decision, then take action without fully thinking things through or listening to our intuition. Vacillating back and forth, yet feeling a sense of urgency “to get this done!” Get it off the Ego self’s To Do list! How many of you over the last 48 hours feel like you’ve been flying through each day, accomplishing 100 things, urgently, as if there has been set a certain time to “BE” somewhere by today, the New Moon? Have you felt your decisions aren’t the ones you would normally make? That it all feels “alien” somehow – not like your usual self? These are all signs and symptoms of BEing in our new bodies, minds and selves. A wee bit discombobulating to say the least! Drink more water; ground yourself out in nature, or via imagining you are “rooted” via your Root chakra to Mother Earth’s pure energy; and stay away from stimulants like caffeine or sugar while we still navigate this electrical Aquarian energy. Now let’s return to the 00 degrees of Pisces 00 where the Sun has moved off to earlier today. The sign of Pisces is the last sign, the oldest sign, the kid who has been around that block more than once, eh? Wise Old Woman/Man connected spiritually, seeing there is more service to be given BEYOND the Ego self. Key word is We Serve for the 12th House where Neptune and Pisces naturally rule. The opposite sign of Pisces is Virgo: I Serve – in the mundane world of daily work. Any opposition is challenged to not remain a duality; we must make it an “AND” world now. With the Sun entering 00 degrees of Pisces, 10 minutes after the New Moon of 29 degrees of Aquarius, I see a mixture of beginning a NEW Cycle of creating an “AND” world of being of Higher Service spiritually AND in our daily mundane world AND being prosperous and abundant and all that entails! At the same time, the 29th degree signifies an ending somehow. That vacillation, going back and forth second guessing yourself: that is the struggle of the Ego with the Soul. We are learning to master our Ego in order to allow our Soul (probably for the first time here in Earth’s history) to take the lead! Go back to what you learned about yourself during the previous New Moon cycle of what you wish for your Future Self plus the peers, friends, groups you belong to that SUPPORT this Future Self too (your community). What was in your face, really LOUD and CLEAR, that showed itself to no longer support your inner growth to BEing your true individual self? With today’s current New Moon at 29 degrees of Aquarius (same sign) we are given the choice this Moon cycle TO LET GO of what is no longer growing corn in our respective lives. Leaving behind the OLD Self. 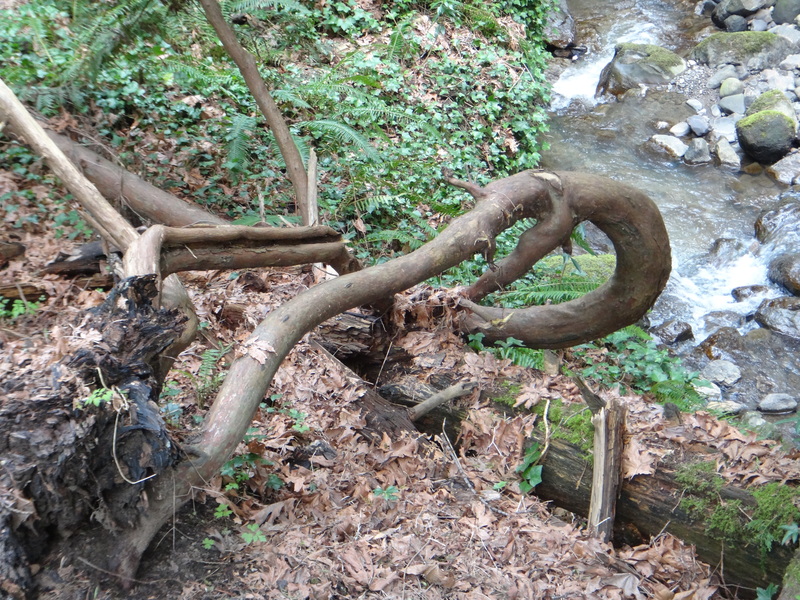 Not quite like a snake shedding its skin; more like a complete NEW snake altogether! Right down to the DNA level. Look at what is and has been dying in your life: relationships (this includes how you relate to yourself), your income, work, all areas of your life. The OUTER world that seems to be dying around you is just an indication of what is actually dying WITHIN you. “As Within, So Without” and the planets and luminaries and their respective cycle dances bring “As Above, So Below” into BEing. Drama Triangle: specifically BEing the VICTIM, or wanting to be RESCUED, or feeling PERSECUTED. Or, when we tire of the victim position, reaching out to rescue others, or if we’re feeling especially awful within, projecting that pain outwardly by persecuting others. This last bit we know as being bullied or bullying. The KEY here is to get OFF this crazy triangle and become VICTOR instead – empowered with love and compassion for self and others, no matter what. AKA what the Bible talks of “turning the other cheek”. Addictions! : now here we have the crutches our Ego self has acquired, this, and other, lifetimes to stay in VICTIM mode. How we beat ourselves silly with those sticks we carry as we denigrate ourselves (and others) with judgement and criticism (opposite sign to Pisces is Virgo after all, wanting to BE PERFECT). What’s your addiction of choice? Food? Alcohol? Drugs (caffeine and sugar play a part here)? Shopping? Work? Exercise? Extreme Sports? I could go on… you get the picture. Now what? We have a combination of Air (Aquarius) needing to talk and commune with community, AND Water (Pisces) noticing how I feel, allowing self to move through those feelings, and receiving hits of intuition / insights along the way in how to deal with it all. A combination of our Mental Body allowing some aspect of itself to die (29th degree) AND our Emotional Body being honoured in a brand NEW way (00 degrees) without the need to mask or suppress via drama/victim projections or addictions. How do we honour our FEELINGS, Emotions and Intuition this next month? We do so by WALKING through them as we EMBRACE them, not RUNNING AWAY from them. 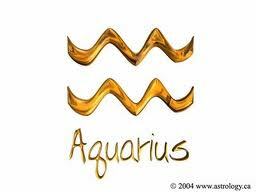 AND talking about them (Aquarius Air means communication too) with our community of peers, friends and groups. In doing so we are letting go of OLD ways of BEing, allowing the Soul self to step in and lead the way more so than the Ego self. Sounds simple, no? In the sign of Pisces we have: Neptune (ruler of this sign, brings imagination to dream our Soul dream forth) + Chiron (to heal our wound of separation from the Divine and each other) + Venus (our Desire/love body) and Mars (assertive/courageous action) holding hands. Quite the assistance here to NOT drop down into the Shadow side, to stay in the Light and walk on through what comes up for us this month! Pluto and Ceres are also holding hands, in Capricorn (earth, practical, hands-on action) to bring Transformation (Pluto – Life-Death-Rebirth of something that is dying within our Ego self) and the ability to Nurture (Ceres) ourselves well (pay our bills, buy food, etc). Capricorn is a cardinal sign, and initiates new change in the areas mentioned above. Mercury has changed into the forward-moving Direct motion within Aquarius with Vesta (focus and concentration) – communicating verbally, written, social media, you name it, original ideas and insights required for the collective, NOW. To recap: we will let go of something Mentally (Aquarius) that we noticed last Moon cycle doesn’t work for the Future Self we have become (this includes Ego brain beliefs) and begin a new way of relating to self, and others, emotionally, intuitionally and energetically (Pisces) that no longer causes PAIN or SUFFERING to Self or the others around us. NB: Pisces rules the feet – so if you find you are “walking painfully” at any time this next month, look inside yourself for the Ego fears being planted there, resisting the forward walk your Soul desires. It will be interesting to see what occurs out in the world (As Within, So Without) because Pisces can out-picture as our traditional religions in the world. As thousands of people die across the pond east of us, all due to the victim stance they are taking re: religion, rescue us or we’ll persecute you, I pray that as each individual on this globe embraces their Divine Spiritual self and lets go of old outmoded beliefs, we lessen the tensions and blows that war brings. It is now February 2015 and Comet Lovejoy (C/2014 Q2) has been travelling between the orbits of Mars and Earth since it was discovered by Australian amateur astronomer Terry Lovejoy August 17, 2014. The comet had an orbit of 11,500 years before it came into our planetary region (around 1950). Its return journey has been truncated to 8,000 years due to the planetary perturbations of our solar system. 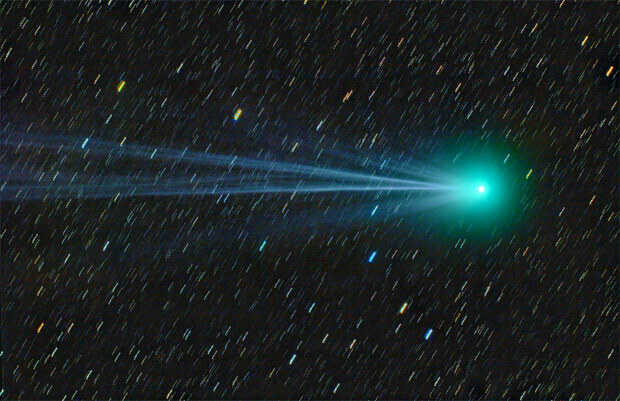 Comet Lovejoy will leave our planetary region around 2050 and return in about 8,000 years. Essentially, five years after WWII, this comet has been showering us with “Love and Joy” from afar, bringing it closer, and louder, to us now in 2014/2015, just in time to view the machinations of the wars in the Middle East that have been steadily growing louder themselves since the Gulf War of 1990/91. Another interesting note: Jupiter’s journey through Leo (that open heart surgery I keep talking about) began as of August (!) last year. 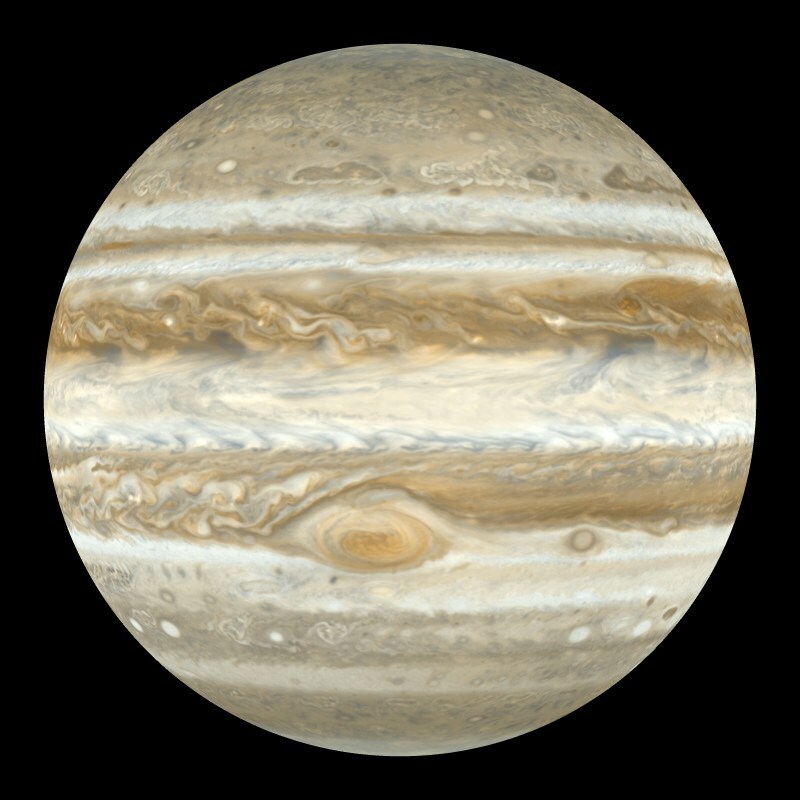 The previous transit of Jupiter through Leo was back in 2002/2003; and previous to that it was 1990/91! Leo signifies leadership, royalty, ego/arrogance, heartfelt love of self and others, and what we are creating along the way. How significant is it that Jupiter’s expansive and magnifying energy through Leo coincides with wars? Is the Cosmos knocking on the collective doors of our world leaders, asking, “When will you decide to lay down your weapons and just LOVE one another?” Notice how the planetary cycles mirror our human evolution towards a more inner, and outer, loving way of treating each other. I love Astrology! This shows us part of the ROOT of Comet Lovejoy’s message to us now in 2015: connect with original ideas that work for the collective humanity AND embrace your eternal Spiritual selves to create a New Earth down the road. Unconsciously, and collectively, this is how we have been evolving, taking baby steps along the way! As humans we don’t always “get it” the first time, do we? According to Astronomy Now, Comet Lovejoy is a long-period comet and can be seen by the naked eye the closer it is to Earth. It has a dual tail 5 degrees long and the coma is a marvellous shade of bright green. It seems this comet has already survived a previous trip to our Sun! Long-lived Lovejoy to be sure! January 3: Moon conjunct Mintaka (22 degrees Gemini 37′) in Orion’s Belt at 3 a.m. EDT, then conjunct Betelgeuse (28 degrees Gemini 58) at sunset EDT, also in Orion. January 7: comet was closest to the Earth and moved through the stars of Eridanus, The River constellation. February 3: Full Moon – astrologically in Leo (14 degrees 48′) near Jupiter (18 degrees Leo 00′ Rx), and then Regulus (constellation of Leo, at 29 degrees Leo 08′) by February 4th. is about to enter the sign of Aries (fire sign, all about ME, Myself and I to the exclusion of all others, at the extreme). Mars rules Aries – will there be more war? Or pioneering of a better way to end current ideologies/dogmas that are extreme, killing people all over the world? I look at the natural wheel of the Zodiac and see Comet Lovejoy’s path is like the Moon’s Nodes, moving backward through the signs. 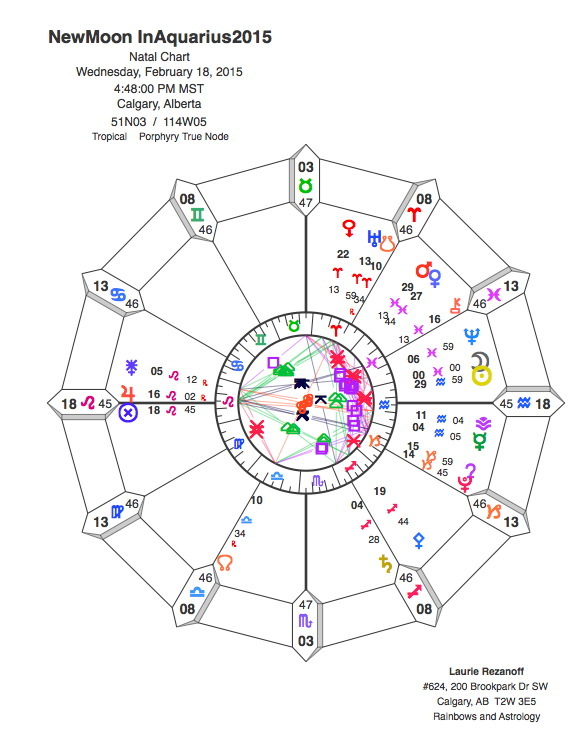 Cancer rules the 4th House of home and hearth, family and lineage of nurturance; Gemini rules the 3rd House of siblings, our local peeps we interact with daily; Taurus rules the 2nd House of money, values and worthiness; and Aries rules the 1st House of our self-identity and physical body. How we present ourselves to others. What have we learned from these areas of life since Comet Lovejoy’s consciousness-awakening arrival back on August 17, 2014? 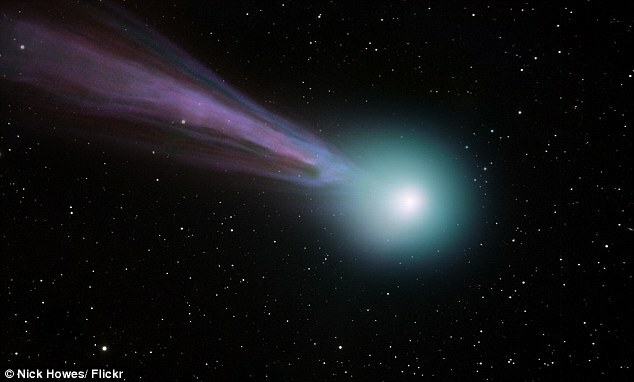 Since 1950 Pluto has heralded the Ego’s Life-Death-Rebirth via Comet Lovejoy’s journey through our solar system. 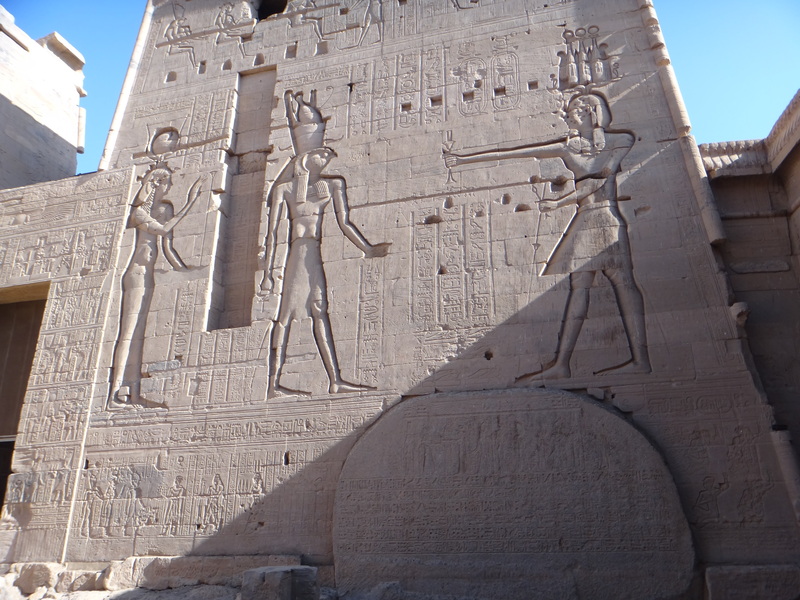 In Leo (fire) bringing forth leaders and leadership: are you coming from the Heart or from Ego? 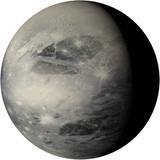 Pluto pulls back the carpet of what we have hidden from ourselves, deeply personal and emotional fears, all related to the collective EGO self. This current Full Moon in Leo, and the ties brought forth from the past via Comet Lovejoy, indeed heralds a portentous time of choice. War or Peace? War and Peace? How about just Peace? Will it take us until 2050 to figure it all out? Will Persia finally lay down its arms? And today, how are YOU warring within and without? What do YOU need to lay down, finally, to rest? Where in your charts does Leo lie, especially the coordinates of 14 to 19 degrees of Leo? As you look at the Full Moon (still in play today and tomorrow) ask for guidance from the planets and Comet Lovejoy to BRING more peace and love to you and your life, from the inside, out. Before I leave this page, I must return to Sirius and Rigel. 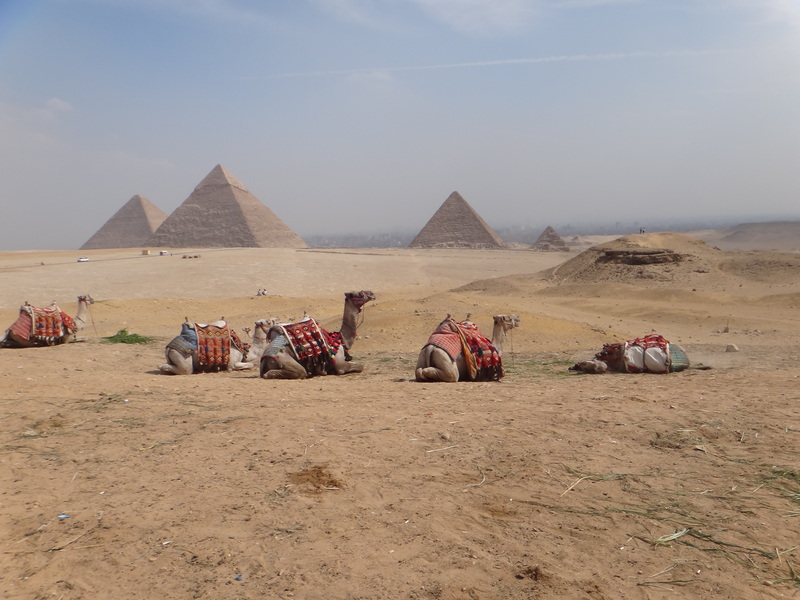 The Egyptians embraced these two stars: so the Giza Pyramids and the Sphinx are a part of this journey too. Stay tuned for more information later on. CREDITS: data culled from numerous astronomy sites (The Sky Live, Astronomy Now, Earth Sky Sky & Telescope), Astrological sites/sources (Celestial Timings, Sky Maiden Musings and Brady’s Book of Fixed Stars), and Wikipedia. Thank you!